The Beauty Buff Blog: Smudge Pots...Yay or Nay? 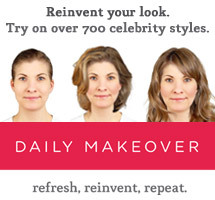 Like Prince and Dave Navarro, I too can't leave the house with without a nice, thick coat of eyeliner on. I'm partial to cream liners because I like their rich consistency and pigment. Gel/cream liners tend to last longer, smudge less, and provide a more dramatic look. I was using Stila's Smudge Pots and although I love the how beautiful the colors look on, I'm kinda over how dried up the pots get. In general these types of liners do tend to dry out and one has to be careful about tightly resealing their lids to prevent drying. It's just a bummer when you still have a good amount left in the pot and the liner has made the independent decision to close up shop. I had been using two Stila shades: Black and Cobalt and noticed how quickly the Cobalt dried out, even when the lid is always tightly closed. When the Cobalt started to dry out, you could instantly see the difference. The consistency was flaky, hard to transfer onto a brush and generally felt uncomfortable to apply on. The ingredients in the blue shade must really make the pot dry out quicker than others because other Smudge Pot wearers that I've talked also noticed the Cobalt desert. The Smudge Pot in black has also become dry and flaky lately. 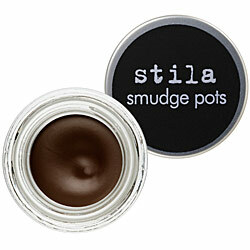 Stila, I love you but I'm just not loving your Smudge Pots right now. I know gel/cream liners do dry... eventually but my liners had so much more life in them! C'mon! They shouldn't have dried out yet! 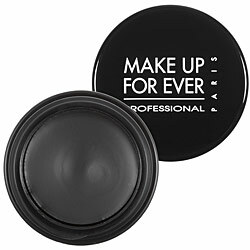 Instead of my once beloved Smudge Pots, I've been giving Make Up For Ever's Aqua Black Waterproof Cream Eyeshadow a whirl. The intense black pigmented cream stays on and lasts all day. I've been very happy with this new brand. It also has an extra protective covering after you unscrew the lid to prevent drying. The extra protection might be doing the trick, because the consistency looks and feels anything but dry. So if you've had success with Stila's Smudge Pots congrats! They look great on when there still functioning. If you're like me and a bit frustrated with the dry consistency of your favorite Smudge Pot, it might be time to switch up your liner!